SCVHistory.com | St. Francis Dam Disaster | 1928 Dam Failure: A Vital Lesson for Today. 1928 Dam Failure: A Vital Lesson for Today. Association of State Dam Safety Officials. Around midnight on March 12, 1928, just days after its reservoir was full for the first time, the St. Francis Dam failed catastrophically. In what many consider the worst civil engineering disaster of the 20th century, the resulting flood wave rampaged for more than five hours through the night, destroying thousands of acres of farmland, ripping apart a thousand structures, and cutting short more than 400 lives. Ninety years later, some lessons to be learned from the St. Francis Dam failure were echoed in the findings of the forensic investigation of the February 2017 spillway failure at Oroville Dam in California, reiterating the importance of learning from past failures. The St. Francis Dam, owned by the city of Los Angeles, was a 205-foot-tall concrete arched gravity dam which impounded about 38,000 acre-feet of water. The design and construction were supervised by the famous William Mulholland, a self-taught engineer who had risen through the ranks at the Los Angeles Department of Water and Power, starting as ditch cleaner. The St. Francis Dam, along with other projects such as the Los Angeles Aqueduct, was a part of Mulholland's lifelong work to quench Los Angeles' thirst as the city rapidly grew. When the St. Francis dam failed, high public and industry interest followed, along with more than a dozen forensic investigations. There was a consensus that numerous physical factors contributed such as instability of the dam foundations and abutments, and insufficient width of the dam base. Raising the height of the dam twice by 10 feet during construction without increasing its section thickness also contributed to the instability of the dam. While it is important to understand the mechanics of how the dam failed, these physical factors only tell part of the story. The lessons learned from this failure reside in the way these physical factors intersect with human judgments and decisions. Warning signs of the dam's distressed condition — including excessive concrete cracking, seepage through the abutments and foundation, and ground movement at the east abutment — were dismissed by inspectors. There was an overconfidence in Mulholland's expertise, despite his lack of formal engineering education and his having prior experience with only one gravity dam. His design team also had inadequate experience in design of this type of dam. Shortcomings in California's laws were also revealed, including lack of Professional Engineer registration requirements and an exemption provision that resulted in lack of outside review of the design and construction of the St. Francis Dam. As the entire nation reflected on the tragedy, immediate and obvious changes occurred in California law. The California legislature updated the dam safety program by eliminating the review exception that had been in place for municipalities like Los Angeles Water and Power, instead authorizing the state to have review authority for all non-federal dams in California. In 1929, a year after the failure, the state also created the state Board of Registration for civil engineers, to regulate the practice of civil engineering in California. 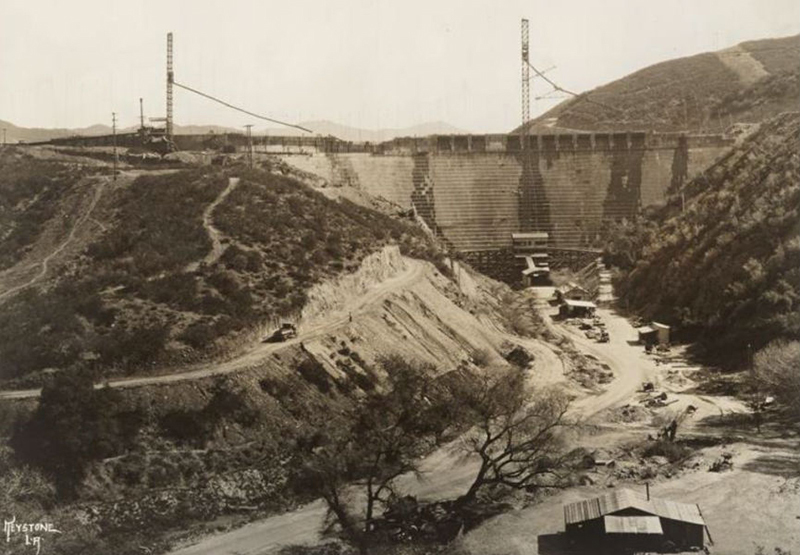 "The St. Francis Dam failure was a pivotal event in U.S. history, in that it forced policymakers to consider their role in ensuring public safety through adequate oversight," said Jon Garton, president of the Association of State Dam Safety Officials. "In both cases, the problem was not lack of sufficient knowledge collectively within the industry, but rather insufficient awareness and application of that knowledge," Garton said. "This highlights that there is a continued need today to learn from this failure." To learn more about the St. Francis Dam failure and see the schedule of 90th anniversary events, click here.